In the not-so-distant past, it was next to impossible for people who were self-employed to qualify for any type of loan. It was even worse for people who were shopping around for mortgage loans. In the past, when people could get these loans, they were subjects to stiff penalties in the forms of higher down payment requirements and increased interest rates. Today, the outlook is much brighter for self-employed borrowers – if you follow these trusted tips. Homes are a sizeable investment, one that lenders take seriously. They aren’t in the business of charity. They want proof that if they loan you the money to buy a house, or anything else, that you have the means to repay the loan. You may wonder, why two years? The answer is simple. It gives them an opportunity to see that your income is stable, perhaps even growing, and consistent. Before you even think about applying for a mortgage loan you need to obtain copies of your credit report. You want the highest score possible. This not only makes it more likely that you will qualify for a mortgage to begin with; it can also help you secure a competitive mortgage rate. Since the interest rate affects how much you actually pay for your home, the lower it is, the better. Make sure there are no errors or incorrect information on your credit report and make sure you pay all your bills on time for a period of 12 months before applying for a loan. 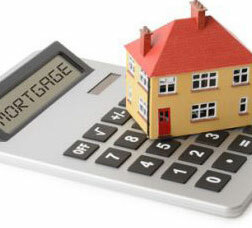 Ideally, your mortgage expenses should not exceed 28 percent of your income. Most lenders want to see that your total debts do not exceed 36 percent of your available income. If your goal is to get a larger mortgage, you want to eliminate some of your existing debt so there is more wiggle room to work with. Being self-employed is no longer the black mark against borrowers it once was, but it continues to provide a bit of an obstacle to overcome. Each of these things indicates to lenders that you are a solid risk to invest in. Want to learn more about getting the mortgage you seek? Consider online mortgage classes from Capstone Institute. Call 888-254-3431 to get started.